There comes a time when you need to work with a consultant, or even just a specialist. Whether she's a doctor, a salesperson, or a web designer, I've found that the best approach is to give them constraints. Often consultants will ask you to tell them about your situation. This is where you'll often want to describe the problems you have that you think they might be able to solve. On the consultant's side, they're listening to what you're saying, but also playing Choose Your Own Adventure at the same time. If this, then Solution A is an option. If this, but also that, then maybe Solution B will work. 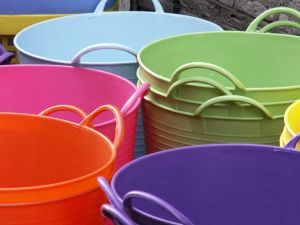 Essentially, a consultant knows which strategic bucket to drop you into based on how you describe your problem to them. I've found the best way to have a productive first meeting with a consultant is to determine ahead of time what my constraints are, and make sure to provide that information at the first meeting. My budget is endless as long as each lead generated costs less than $25. My budget is $10,000 and my expectations are to generate 400 leads. Consultants don't come cheap, so figuring out this information prior to engaging them is often worth your time. It will also help you refine your thinking and confirm why you're engaging a specialist in the first place. Consultants are can be great at solving problems in their practice areas. However, without telling them what your constraints are their recommendations are often forced to be too generic.